The Czech government disapproves of the European Commission’s criticism of its non-compliance with the EU’s refugee relocation quotas. Prague claims that the scheme, designed to help Italy and Greece, does not work and that Europe should focus its efforts on other measures to tackle the migration crisis. This argument was central to the Czech reply to the Commission’s letter of formal notice, sent in mid-June, after the EU executive launched infringement procedures with the Czech Republic, Hungary and Poland. “Our response is based on the same arguments we have been using since the beginning – that the relocation scheme has many technical flaws, which cannot be solved without putting forward other initiatives,” Czech State Secretary for EU Affairs Aleš Chmelař told EURACTIV.cz. We have to change NATO from a defence pact to tan offensive pact, Andrej Babiš, the Czech minister of finance, who also serves as deputy premier, told Euractiv Poland. “The mechanism cannot effectively solve the crisis and it creates further security problems and disproportionate risk distribution, while we are not in control of the overall volume of risks and costs,” he added. The Commission pointed out that the Czech Republic has not relocated a single migrant or refugee since August 2016 and has not made any new pledges since June 2016. Interior Minister Milan Chovanec claims there are currently no refugees in Italy or Greece who would fulfil the conditions for relocation under the EU scheme. “Any pledges from the Czech side would therefore be irrelevant,” he told journalists last week. 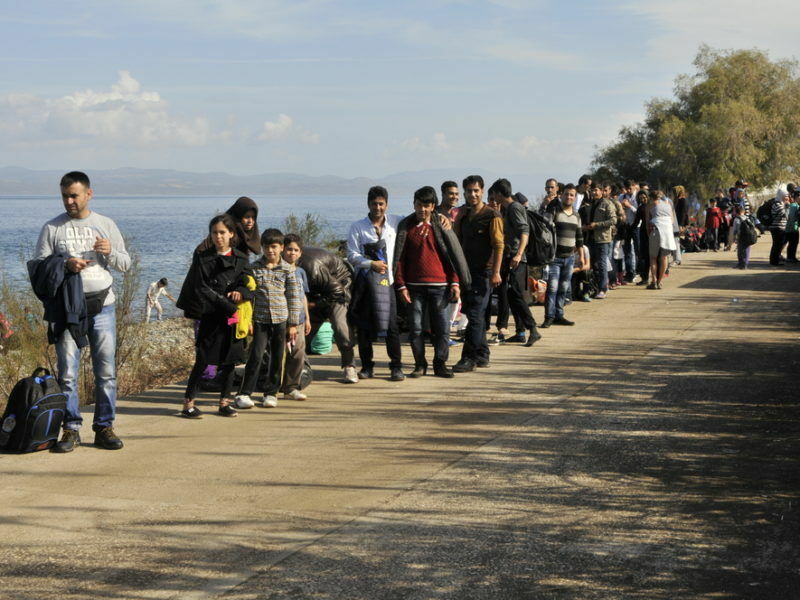 Chovanec also said that the government was ready to relocate 30 people from Greece and 20 people from Italy. Prague informed Athens and Rome about this intention twice in the first half of 2016, the minister added. According to Chovanec, Italy at first did not provide with required documents and has not reacted to the other offer at all. But a recent report by the Commission shows that 11,000 people eligible for relocation are waiting in Greece, with hundreds more in Italy. Italian Prime Minister Paolo Gentiloni has warned Rome will not accept either “lessons” or “threats” from neighbours on border security amid tension over Europe’s migrant crisis. “The relocation scheme was perceived by some as a silver bullet which would solve the whole crisis,” Chmelař said. “But it is not sensible to share risks and costs when the number of incoming persons and the volume of the costs are not clear, and when the rules of the asylum system are not observed. It is an important principle that has been followed at every step of the European project, i.e. it is not sensible to share a burden if we are not able to control its volume,” Chmelař explained. 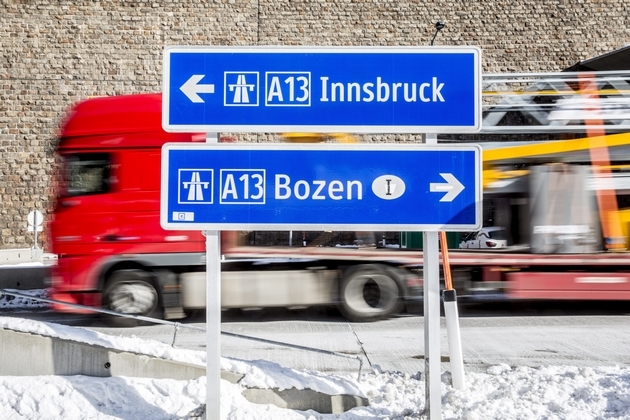 According to the Czech government, the EU must gain control of its borders and the number of immigrants before any effective relocation system can be implemented. “Only then will we be able to solve the situation of people who have already arrived to the EU – by integrating those eligible for asylum and returning those who are not,” Chmelař told EURACTIV. Prague says it must be made easier to differentiate between refugees and economic migrants. “If we are not able to do that, we cannot effectively provide help to those who deserve it. We can clearly see in Italy or Greece that the rules are not clear enough and the countries are not able to draw up a quick list of people eligible for relocation or repatriate those who are not,” Chmelař said. “We must also be able to control the situation in our neighbourhood and set up a functional return policy, which has been neglected so far,” he added. Prague claims that the discussion about relocation deflects attention away from real solutions, such as agreements with third countries, support for the coast and border guards of neighbouring countries, expert and financial assistance provided to Italy and Greece, and help directed to migration routes and countries of origin. “These measures have led to an actual reduction of migration flows while it turned out that the relocation scheme has not helped either Italy or Greece. On the contrary, especially Italy now demands a European solution which would stop the inflow of new migrants,” Chmelař stressed. According to minister Chovanec, the Czech Republic is one of the most active EU countries when it comes to the help provided to unstable regions and neighbouring countries. Prague has recently offered €800,000 to support EU actions in Libya aimed at reducing irregular migration on the Central Mediterranean route. “The ministry of the interior has sent more than €13 million to the critical regions during the last two years. The help focused on health care and the improvement of living conditions,” spokeswoman Lucie Nováková said. MEDEVAC is one such programme. 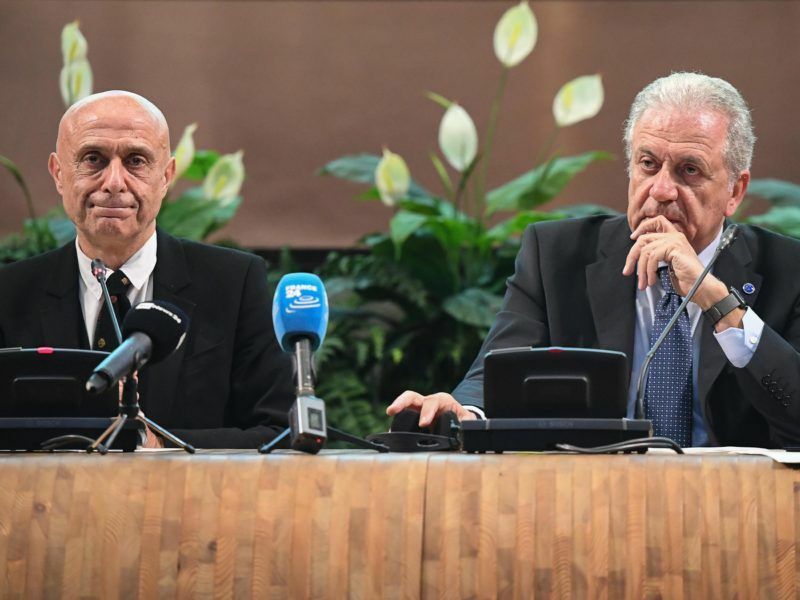 Italian Interior Minister Marco Minniti on Thursday (13 July) proposed a pact with Libya to combat human trafficking during a visit to Tripoli to meet mayors of cities affected by the scourge. The Czech Republic is currently the sixth most active country in providing expert help to the European asylum support office (EASO), the ministry claims. “During the last two years, we have sent 63 experts to the hotspots in Italy and Greece to support EASO. We also sent 200 policemen to help Frontex and 339 policemen as part of our bilateral coordination,” the spokeswoman added. But NGOs working with refugees and migrants are cautious. “Programmes such as MEDEVAC provide real help to people who need it and we welcome their existence,” Tomáš Jungwirth from the Consortium of Migrant Assisting Organisations in the Czech Republic, told EURACTIV.cz. “However, in terms of humanitarian aid and development cooperation, the Czech Republic could still do more,” he said. Jungwirth added that the country’s effort to “redeem” itself from the relocation scheme by sending policemen to the borders of other European countries, is “hypocritical”. “The ministry of interior tries to frame the issue of refugees purely as a security problem,” Jungwirth stressed, adding that the migration crisis cannot be approached in such manner. The Czech Republic does not fulfil the official development assistance (ODA) targets set by the United Nations (0.7% of gross national income for developed countries) and the EU (0.33% of GNI). In 2016, it reached 0.14% of GNI. “The level of ODA currently increases by 0.01% per year. That means that we cannot see any qualitative change of approach,” Jungwirth says. “We must be more active in the economic stabilisation of the critical regions,” State Secretary Chmelař told EURACTIV. 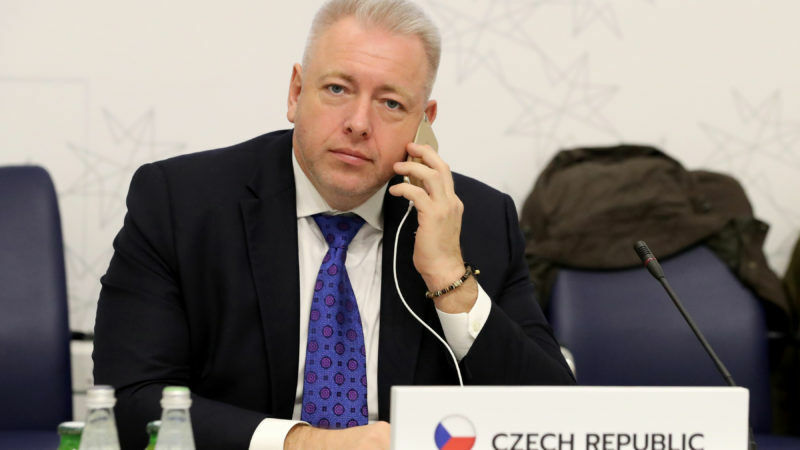 For him, the migration crisis opens new opportunities and the Czech Republic may be able to fulfil its commitments and try to solve problems in the regions where they arise. “Such regions are very often also those that need development aid the most,” Chmelař said. However, Jungwirth points out that the migration crisis has had a “very problematic” impact on development cooperation, as some countries have decided to boost their contributions in order to curb irregular migration. “This goes right against the substance of development assistance,” he said. Development aid should address poverty and global inequality. Therefore, Jungwirth says it would be “absurd” if the EU were to support the construction of border fences and the equipment of border guards in Africa, while labelling these activities as help provided to local communities.